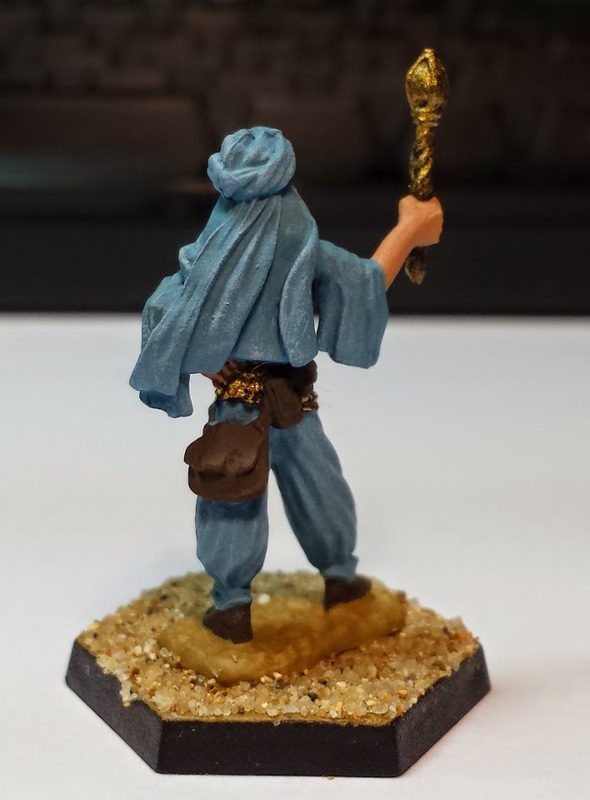 It is hard to find Female minis for the Al-Qadim, even harder to find one's who are mostly clothed. 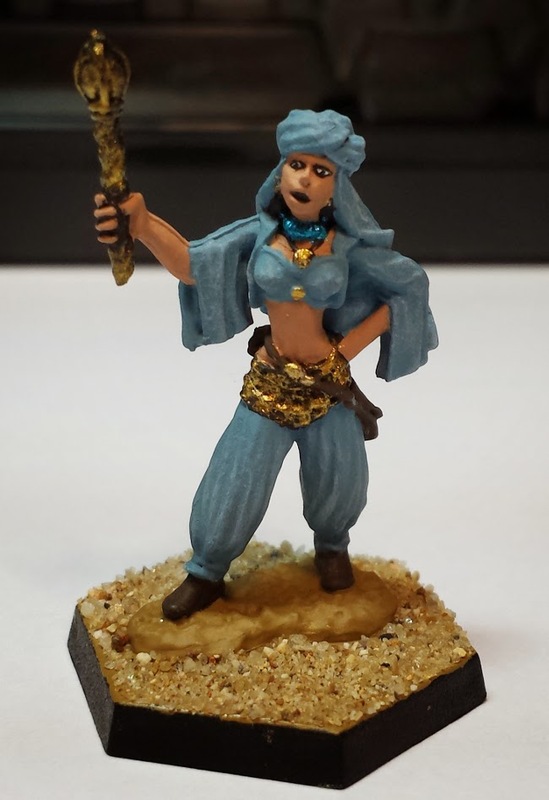 But this mini from Reaper Miniature serves as our Female Sha'ir mini. Sha'irs in the Al-Qadim (and myth) control powerful Djinns, using their magics to give them extraordinary power.